It's easy and fast to download apps to your smartphone. They do everything from identify a song you just heard to turning your phone into a flashlight. But there are secrets lurking beneath the fun apps. 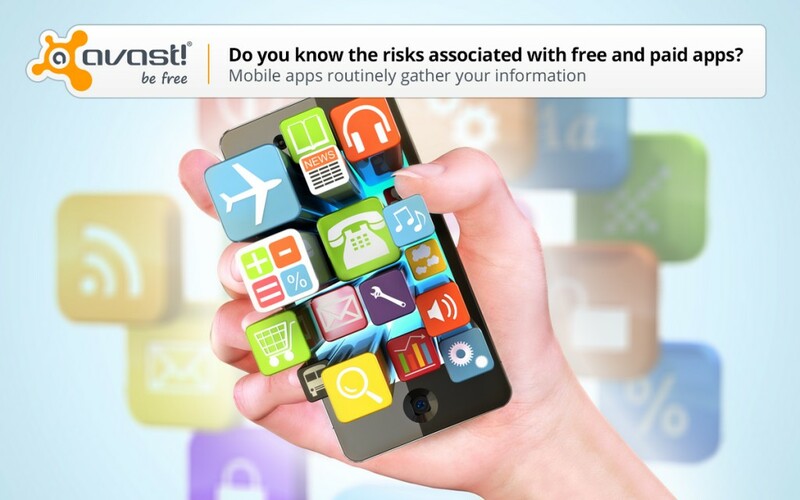 See how knowledgeable you are about the risks associated with free and paid apps for your smartphone. Answer the question, then read on to check if you were right. If you chose free mobile phone apps, then you are correct. Overall, 83% of the 100 most popular apps are associated with security risks and privacy issues, according to a new analysis by Appthority. The interesting point this study make is that these aren't just any old apps, these are the games, productivity, and communication tools created by major publishers like Disney, Entertainment Arts, and Rovio. Analysts also found that paid apps aren’t as safe as you think. While 95% of free apps exhibited at least one risky behavior, so did 78% of the top paid apps. TIP: avast! Free Mobile Security identifies potential privacy risks, by scanning and displaying access rights and the intent of your apps, so you know how much info you are really providing to each app. Read what Consumer Reports says about avast! Free Mobile Security. Apple’s mobile ecosystem is popularly considered safer in comparison to Android’s “open” platform, but the analysis showed that 91% of iOS apps exhibited at least one risky behavior, as compared to 80% of Android apps. 3. Which app behavior is the biggest risk to your security and privacy? Location tracking, or geotracking, can be quite useful, but it is considered an infringement on privacy and a safety risk. It can be exploited for dangerous purposes by bad people – if you don’t remember what happened to the military helicopters because of location-based apps, then read this warning to members of the military. 4. Which category of mobile phone apps are the riskiest? Out of the 100 top apps analyzed by Appthority, they found that games is the most popular category. The Apple App Store is dominated by games (52% of paid iOS apps and 36% of free iOS apps) and a significant percentage of Android apps (38% of paid Android apps, 43% of free Android apps) are games as well. The results show that gaming apps exhibited more risky behaviors across all categories, notably in-app purchasing. In-app purchasing are those little extras you can purchase while playing, like bonus game levels/maps, additional experience points, subscriptions, and recurring services. Nice while playing, but shocking when you receive the bill at the end of the month. Read Appthority’s App Reputation Report for more information.